Marble Today is proud to be your official Florida distributor for Kitchen Palette. This unique interchangeable backsplash system allows you to dramatically change the look and feel of any room in less than one minute. Designed to fit behind conventional cooktops and ranges, the Kitchen Palette system can be installed in less than 30 minutes and offers limitless possibilities in color, design and artistic expression. 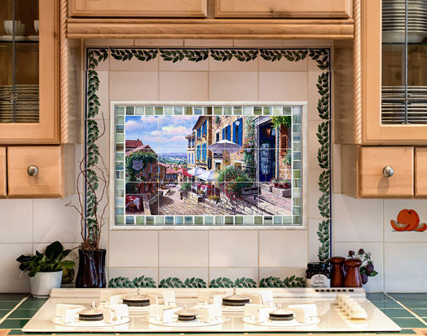 Now you can change your backsplash anytime – for the holidays, a special occasion, or simply a new pop of color! 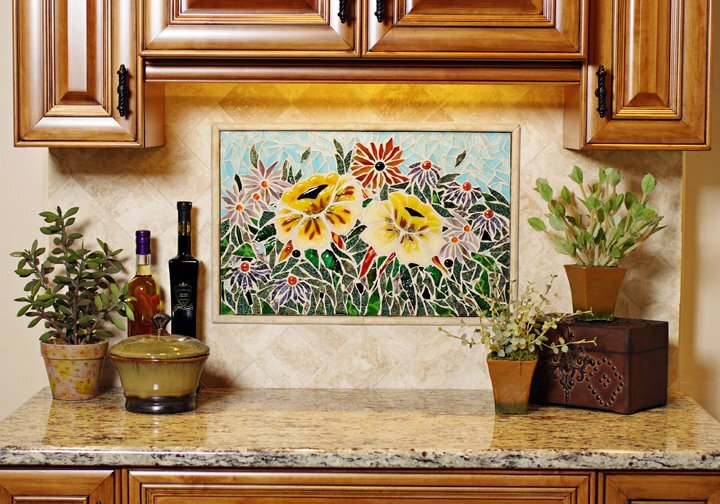 Forget the commitment of living with the same backsplash design for years. With its quick and easy installation and endless design possibilities, the Kitchen Palette system will change the way you look at kitchen design forever. Ready to be finished by a designer, artist, tile installer or do-it-yourselfer, a Blank Palette is the ultimate way to express your creativity. For the customer who wants that ready-to-wow, finished look, each Print Gallery Palette is a high-quality reproduction of an original piece of artwork already adhered to a Blank Palette. There’s something to suit every taste and décor, and we’re always adding new artists! Access Panel is perfect for jetted tubs, hot tubs, breaker boxes or any other area where you need quick access, without having to settle for the unsightly “hiding” options currently available. For the do-it-yourselfer, our Tile Mural Palette contains a 20″ x 12″ mural consisting of 15 – 4″x4″ tiles, a 1″ border of accent tiles and a blank palette. Detailed instructions for tiling and grouting your palette are also included. Each mural is a reproduction of an original piece of artwork. These kits have been created exclusively for Kitchen Palette. 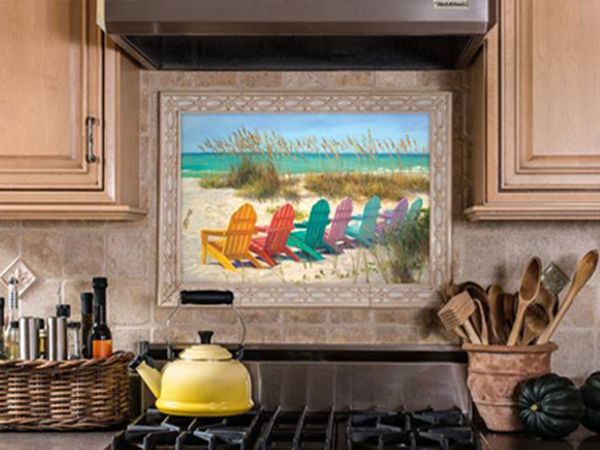 The Print Gallery Palette is finished with printed artwork and ready to install in your Kitchen Palette system. We feature dozens of artists’ works, to ensure you have the widest variety of choices. Our Custom Palette collection features unique artwork attached to a Kitchen Palette and ready to install in your Kitchen Palette frame. These are one-of-a-kind custom palettes. Visit this page to view all available palettes. Ready to order? It’s simple! Call the Marble Today location nearest you and talk with our friendly staff.